Commission on sexual abuse strengthened by pope’s appointment of O’Malley to C.D.F. 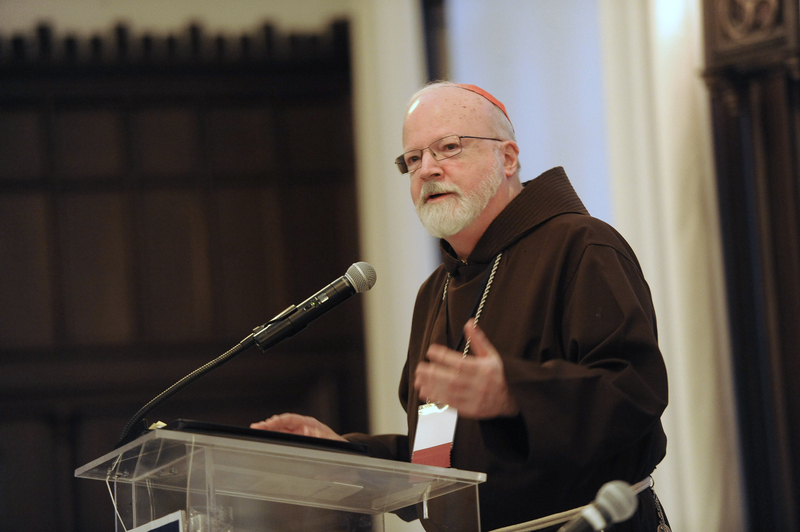 In a highly significant move, Pope Francis has appointed Cardinal Sean P. O’Malley as a full (board) member of the Congregation for the Doctrine of the Faith (C.D.F.). The Vatican made the announcement at noon on Saturday, Jan. 14, and highlighted the fact that the cardinal-archbishop of Boston also serves as president of the Pontifical Commission for the Protection of Minors that Francis instituted in 2014. The cardinal’s appointment as a member of the C.D.F. means there is now a direct link between the commission and C.D.F., which has the central role is dealing with all cases of the abuse of minors by clergy, as well as bishops who are negligent in their duty to protect children. It ensures that the C.D.F. and the commission will be able to work more closely together, while fully respecting their distinct and very different roles. Francis set up the commission in March 2014 as an advisory body to him, and asked it to propose “the most opportune initiatives for protecting minors and vulnerable adults, in order that we may do everything possible to ensure that crimes such as those which have occurred are no longer repeated in the Church.” He also entrusted it with another important task: “to promote local responsibility in the particular Churches, uniting their efforts to those of the Congregation for the Doctrine of the Faith, for the protection of all children and vulnerable adults." Shortly after the publication of that letter, some media suggested that Francis speaks strongly but is acting in a less forceful way on the whole abuse issue, and reported that Francis intends to change (or “reform”) the key role of the C.D.F. in combating this crime and sin. A top Vatican source fully informed on this topic told America that such reports are without foundation, and there is no such reform on the way. Francis’s letter and his appointment today of Cardinal O’Malley as a member of the C.D.F. is further confirmation of his intention to press ahead with ‘zero tolerance’ on this whole question. Cardinal O’Malley becomes the second U.S. residential cardinal on the C.D.F., joining Cardinal Donald Wuerl of Washington D.C. This otherwise well-meaning Capuchin friar just spent $850,000 of the Boston Archdiocese's money to fight a bid to legalize marijuana in Massachusetts.